The greatness of the Iskar Gorge is indescribable. The River’s victory over the mountain in a million year battle has left its mark in the breathtaking views, especially in the area of ‌‌Lakatnik Station. The 300-foot vertical rock formations, carved ‌‌of red Triassic sandstone are actually the torn bosom of the Balkan Mountains, a result of the monstrous battle with the Iskar river. Evoking awe and admiration, the rocks are as a magnet for lovers of mountaineering and caving. On the rocks is perched a small house, which is a symbol of Lakatnik Cliffs. An alpine shelter accessible only “on a rope””, proudly bears the name “Eagle Nest”. Lakatnik cliffs were declared a NaturalPark in 1963. In the cliffs opposite Lakatnik Station, about 30 meters above the river, is the entrance of one of the most famous caves in Bulgaria – the „Dark Hole“ cave. The total length of the cave, in different parts, is between 5000 and 9000 m. Another famous cave near Svoge is „Elata“. Only 123 m long, it hides a wondrous and magnificent underworld. The cave is densely filled with unspeakable formations – stalactites, stalagmites, rim stone pockets and other wondrous anomalies. 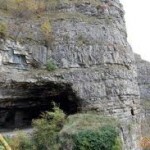 Cave „Elata“ is located approximately 2 km south of the village Zimevitsa. Another attractive landmark in our part of the gorge is a waterfall „Skaklya”, so named for the eponymous river, who’s waters cascade into the eastern part of the mountain Ponor near the railway station at Bov. 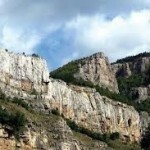 The bottom of the river valley is enclosed by an impressive horseshoe-shaped limestone wall of rock, 120 meters high. On the steep limestone walls there has been made a path, which bears the name “Vazov’s Ecopath”. It is named after the great Bulgarian writer and poet Ivan Vazov, who loved to stroll there, whilst creating his works. The tourist destination “Vazov’s Ecopath” is the only way by which one can go to the waterfall “Skaklya”. The Ecopath connects the villages Bov and Zasele. Traditionally, every spring there are organized tourist hikes and games. The official opening of the reconstructed trail took place on 29/04/2007. Another interesting attraction in the municipality of Svoge is the rock formation „Dzhuglata.“ It is located 6 km north of Svoge, in the area of Tserovo village. This bizarre natural phenomenon formed by the weathering of sandstones over millions of years, is 18 meters high and resembles a mushroom. According to some people it even resembles a human head. Whatever you like, the rock is a favourite spot to climb for local children. The municipality of Svoge has also another unique attraction – the monastery „Rozhdestvo Bogorodichno“, better known as „Seven Thrones“ monastery. The monastery lies in one of the most fascinating recesses of the beautiful valley of the river Gabrovnica, near by village Osenovlag. It is located 40 km north of Svoge. In the church of the monastery there are 7 chapels (thrones). Beautifully restored and maintained, it has 60 beds, parking and a restaurant, making it a popular destination for weekend getaways. The monastery is one of the 100 National Tourist Sites, № 78. It was declared a cultural monument. In the municipality of Svoge there are two more monasteries that have been declared monuments of culture. One of them is located in the north-eastern part of the town of Svoge. 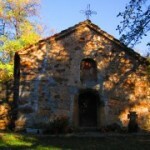 In the monastery estate nowadays there are two temples – the old monastery church “St. Petka”, founded in the 10th century, and the new one “St. Peter and St. Pavel”. The second one is the monastery “Assumption”, which is located in the Iskrets village, 10 km west of Svoge, in the courtyard of the SpecializedHospital “Tzar Ferdinand I”. It was founded in the XIII century. 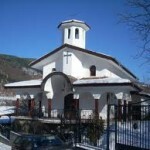 The municipality has several active temples, such as „St. Nicholas“ in Iskrets village, „St. George“ in the village of Svidnia and others.